This is the most complete change methodology we have found anywhere." -- Pete Fox, General Manager, Corporate Accounts, Microsoft US In these turbulent times, competent change leadership is a most coveted leadership skill, and savvy change consultants are becoming trusted participants at the board table. For both leaders and consultants, knowing how to navigate the complexities of organization transformation is fast becoming the key to a successful career. This second edition of the author?s landmark book is the king of all ?how-to? books on change. It provides a strategic overview of the author?s proven change process methodology, as well as pragmatic guidance and tools for each key step in a complex transformational change process. 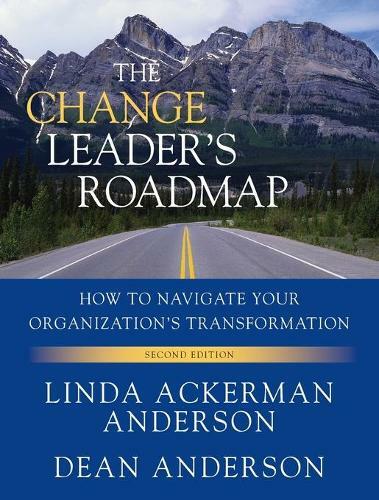 The Change Leader?s Roadmap is the most comprehensive guide available for building transformational change strategy and designing and implementing successful transformation. * Based on thirty years of action research with Fortune 500 companies, government agencies, the military, and large non-profit global organizations. * Outlines every key step in a transformational change process * Provides worksheets, tools, case examples, and assessments that you can immediately apply to all types of change efforts * Includes updated information on a wealth of topics including the critical path tasks and how to use the CLR to change minds and cultures * The new edition also includes new activities, methods for building change capability, guiding principles for change, and advice for leading the human dynamics in change and creating an organizational vision. This book is specifically written for leaders, project managers, OD practitioners, change practitioners, and consultants seeking greater change results.